"How to SUCCESSFULLY Potty Train your child in five hours or less - even if your child is resistant, and you've tried other methods before!" Just wanted to drop you a line to let you know potty training with the HEART method was a success! It's been 2 weeks now & we've had very few accidents. We let him know it was his day. We had fun in the process. Thank you for writing your book, it really helped us out allot! I just have to start out saying thank you, this is the best $22.70 that I have ever spent. My Husband and I scheduled the Big Day for the next day. During the mini party we played with the dolls and had treats for each time anyone sat on the potty. By the end of the 2 hour session Ashton had already started looking at the potty in a different light. Dad and Ashton had a fun day playing, drinking, pottying and snacking. He only had 2 accidents all day on the Big Day. My Husband got bored like you said he would but he had fun spending the time with Ashton. He said it was more mentally exhausting than it was boring. Imagine the Feeling of Relief! A happy child who thinks he trained himself! A Method written by someone with a degree in Psychology, who has been studying children's learning styles for over 20 years. "We had been trying for nearly a year to potty train our boy. Christopher told me about his method. We tried it, and it worked. I took the better part of a day, tanked Christian up on fluids, kept right on top of the situation, had fun, and by the end of the day, he had it. 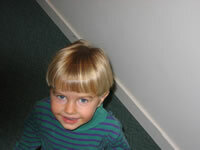 While there were some accidents thereafter, that day was the major turning point in our potty training saga. I plan to use the same method with our other children. It works!" "I love this method! It really works. I tried for several frustrating months with one boy and finally turned him over to his Dad for the five hour training. It worked like a charm. With another child, I tried another method, but we both ended up in tears. He had a much better experience with his Dad's method. I just pick a day and take all the other kids away. When I come home - he is going to the potty by himself! Everyone we've told about this method has had fantastic results, even those who had been trying for well over a year. Author: "How to Potty Train Your Child in Five Hours"
If you want the independence that comes from a potty trained child, and the satisfaction from successfully training your child yourself - then this might be the most important book in your life right now. I'll teach you how to potty train your child in a few hour's work – even if you've tried before and gone back to diapers in frustration! This is one amazing book! Set the day aside and follow the simple steps. This ebook lives up to it's promise... and then some. It shows you everything you need to know to potty train your child and perhaps even more importantly, make your child think it was their decision. What a time saver. The tips and strategies are so good because they are based on how children learn! 7 Access Instantly - You will be reading your book in minutes! 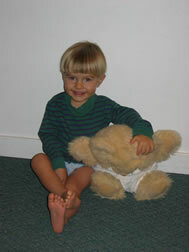 How to Potty Train Your Child in Five Hours is (including bonuses below) in PDF (Adobe) format. You can get the Adobe Reader absolutely free (if you don't already have it). Just go to Adobe.com. 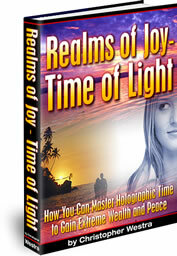 The book and the bonuses are available in an easy download process. You will be taken directly to the download page after purchase, and given simple instructions. If you have any trouble at all with the download process, I will make sure you get access to your books. My customers are my business! One: Describes the environment and tactics necessary to create a no pressure environment. Two: Shows you how to use persuasion and love to eliminate resistance! Three: Teaches that the success of the method depends on you, the trainer, and not upon your child. Four: Explains a method of training you do WITH your child, and not to your child. Five: Tells you exactly why the one parent focused method is the most effective potty training method around! Six: Is written by someone who doesn't just talk useless theory, but has the practical experience of using this method for his own children. This book really explains why most potty training attempts fail, and gives specific instructions on what to do instead! How refreshing and exciting to finally have the H.E.A.R.T Method. There will be more happy parents and children in the world because of this information. Never underestimate the influence you have as a parent to positively impact your child's life! "How to Potty Train Your Child in Five Hours" along with some extra bonuses for acting now. This book is priced (with bonuses) at $39.95 but if you respond right away, you pay the low introductory price of only $22.70 for everything! That's less than the cost of diapers for just a couple of weeks! Order now and get these free bonuses! I know that this method has worked for our family. I want to include these bonuses to give you every possible reason to say YES to this offer today! 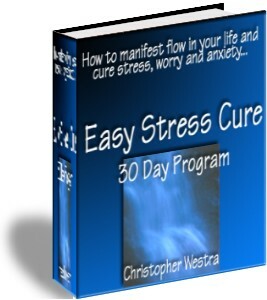 FREE BONUS #1- Easy Stress Cure: The next 50 Customers to order will also receive my book on the Easy Stress Cure 30 Day Program - This book is subtitled "How to Manifest Flow in Your Life and Cure Stress, Worry, and Anxiety". A great companion to my Potty Training book, Easy Stress Cure tells you how to stop resisting and go with the flow for greater success, peace, and happiness. FREE Bonus #2- Parenting is Tough Ebook: I looked around for the best parenting book I could find for parents of toddlers! 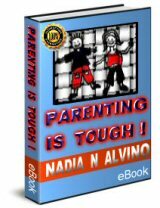 I found this one by Nadia Alvino, an experienced parent, consultant, psychologist, and author. Since this book had an approach and style consistent with my Potty Training book, I obtained permission to offer it here. "Parenting is Tough!" is a concise resource that contains 10 detailed highly relevant rules for developing good parenting techniques that can be applied to raising a toddler, young child or teen. This book is sold at the price of $19.95 but you get it absolutely free with this package! "Parenting is Tough!" contains all the expert parenting advice that you will need to develop effective parenting skills. This ebook outlines many helpful parenting tips that will enable you to raise good, happy, confident and resilient kids. This easy to read ebook will teach you how to bond with your children and how together you can create a loving, happy relationship that will get stronger and stronger as your children become teenagers, young adults and then as they become parents themselves. FREE Bonus #3- E-mail Consultation: For a limited time, you will receive personal answers to two questions you have about Potty Training Your Child. Note - I don't know how long I will be able to keep up with these personal questions, so act now! FREE Bonus #4- All These Other Books: My books have been selling well and I'm feeling generous! I've never given this offer before. For a short time, You will also receive all these other books free with the purchase of How to Potty Train Your Child! Click on the links to see more about each book or website. The H.E.A.R.T. Method is unique and not available anywhere else. If for any reason, you aren't completely satisfied, just contact me within 56 days and I'll refund 100% of your purchase price! Please remember that this book is for those parents who really want to be done with the potty training quickly, and not have it drag on and on. Try it out for eight weeks - risk free. Your transaction is secure and safe, and the download process is simple. Try it today, even if this is your first Ebook. If you need help downloading, just email me or call me after purchase and I will help! About every tenth customer needs help downloading because it's new for them - That's OK! If this book doesn't give you solid, practical information to successfully potty train your child, then you get all your money back! You have nothing to lose (and a lot of peace and relief to gain), so order now. Here's how to order right now - Credit Cards Accepted! Once your credit card is approved, you will be taken to a special Thank You page where you will download all your books. The Server is Secure and the download is quick and easy. You get instant access to the information you need now. You will be downloading and reading this information within just a few minutes... and using it to train your growing child. P.S. - How to Potty Train Your Child in Five Hours is priced at $39.95. I can't guarantee how long the low introductory price of $22.70 will last, so act now! P.P.S. -- Make the decision: If you don't purchase this book, where will you be weeks from now? Probably right where you are now. The H.E.A.R.T. Method works and you have no risk! Get the happily trained child you want through the motivation and specific instruction provided in this book. Wouldn't you like to have more time and more money? Save the money you plan to spend on all those diapers. You'll get more than your money back with your child's first month out of diapers! Make Your Child Smile with another H.E.A.R.T. Method Success! Note - Increase your wealth immediately by promoting this book! I have an affiliate program which currently pays 50% commission for sales. Just click on the link below. Really jump start your residual income and personal freedom with the full six-part audio-visual Freedom Lifestyle Passive Income Program.